The three pugilists credited the biographical sports film on five-time world champion and Indian boxing icon Mary Kom as the biggest influence which has inspired them to take up a career in boxing. "We have been watching Mary Kom and it (movie) has really influenced us," the trio, donning their tracksuits with the Pakistani flag embroidered on it, told IANS. However, the young Pakistani boxers admitted that it was not an easy journey for them initially, when they informed their family and friends about their decision to take up boxing. "There are a lot of anti-groups who don't accept us. Initially, even our family and friends were not happy with us. But now everyone is supporting, be it our government or the boxing federation," Khoushleem said. In fact, the trio picked up boxing only in the early part of 2015 and were trained by their coach Nauman Karim -- a bronze medalist at the 2003 World Boxing Championship -- at Lahore, Islamabad and Peshawar for the multi-national sports event. "We stepped into the boxing ring just eight months ago. I know it will be tough to fight with an experience boxer like Mary Kom and others, but our coaches have trained us well to fight in the ring," Khoushleem said. But the 23-year-old, who hails from the scenic valleys of Gilgit-Baltistan, is eagerly looking forward to meeting Mary Kom in the boxing ring. "I know it will be tough to fight with an experienced boxer like Mary Kom. But I am sure I will learn a lot from her in the boxing ring," Khoushleem who will be competing in the fly-weight (51kg) category, said. Rukhsana, who was member of the Pakistan World Cup Kabaddi team which won a bronze medal in Punjab in 2014, said, "After having learnt that Pakistan has no woman boxer, I took up the challenge to fight in the boxing ring." "The movie Mary Kom has motivated me to take up this challenge. Insha Allah (If God's willing) you never know we might go back home with a medal from here," the 60kg category pugilist from Multan said. Sofia Javed, who also made a reference to Mary Kom, said, "I am very happy to be in India and to make our international debut here. We have been practicing for the last one year a" four months in Islamabad and six months at Lahore -- for this event." Crediting her coach and family members for all their support, the 20-year-old from the Peshawar said, "We are all happy to make our debut here in India. I am mentally prepared for the competition and optimistic to get a medal for our people of Pakistan." The trio also foresee that women's boxing will progress in Pakistan with people supporting them for taking up the challenge to wear the gloves which were once only worn by male boxers in their country. "Women's boxing will surely progress by leaps and bound in Pakistan. A lot of people have helped us. Our government, boxing federation and our coaches have assisted us with an open heart to fulfill our dreams," Rukhsana said. Appreciating the Pakistani women boxers for being influenced her biography, Mary Kom asked Khoushleem, Rukhsana, and Sofia to "keep fighting and never give up halfway". She also hoped that the three Pakistani ladies will do well on their international debut. "They need more motivation. 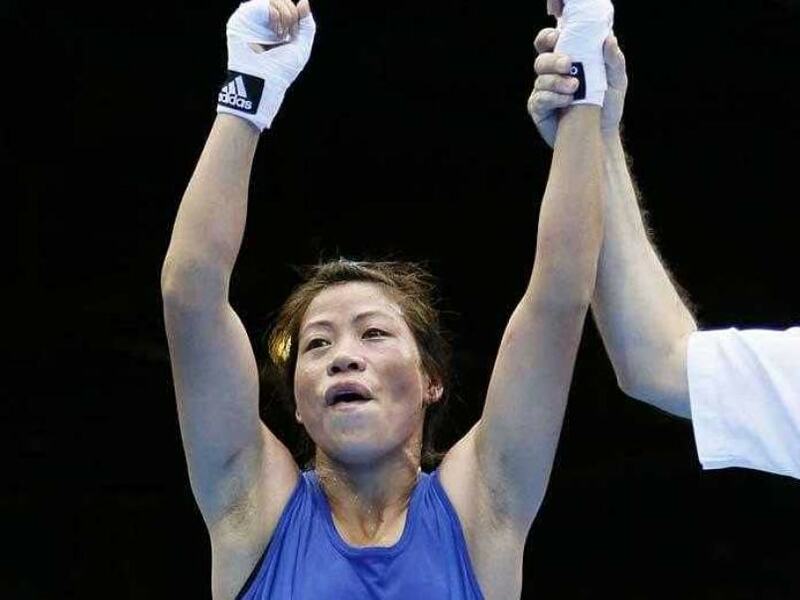 If they need my help they can always come to my (boxing) academy (at Manipur)," the 2012 London Olympics bronze medalist said.